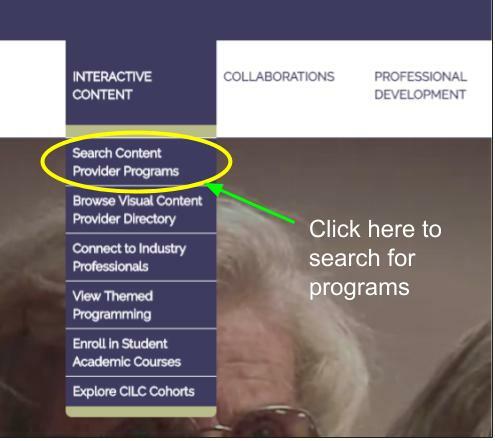 Choose “Interactive Content” and then “Search Content Providers”. Note: You do not necessarily want to use the search box in the upper left. 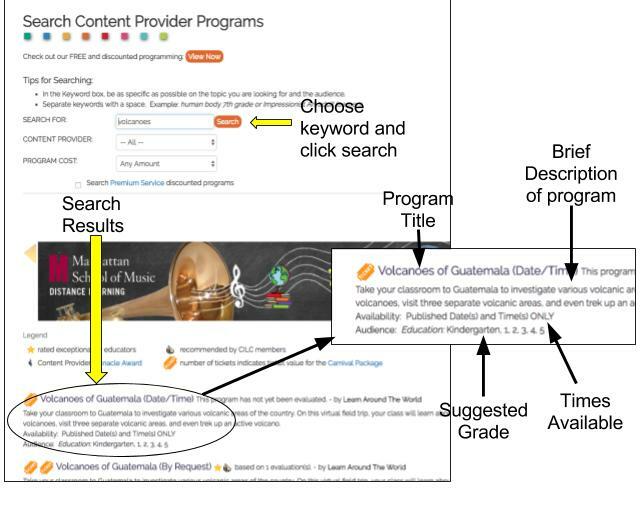 In our experience, it searches the site for everything pertaining to your search term including teacher collaboration opportunities and possibly outdated information. Type your search term in the field. You can also choose by provider if you know their name. Note: Searching by grade does not necessarily yield good search results. Evaluate the search results. 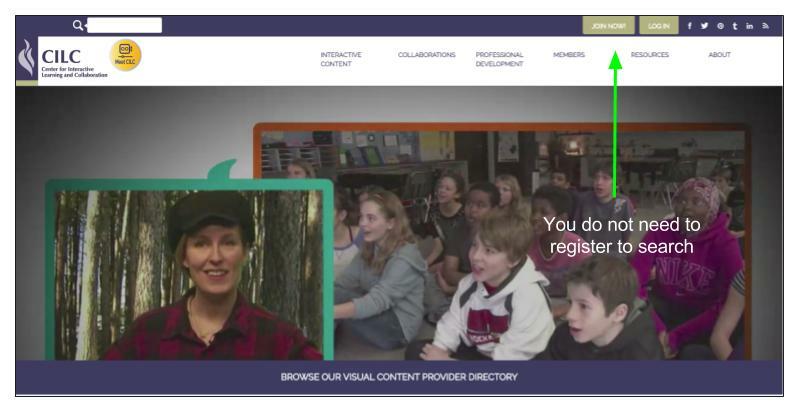 Briefs include program name, provider name, suggested grade level, and brief description. Click on a program to learn more. 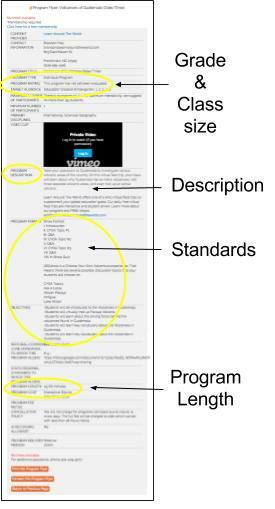 Depending on the information available you can see program overviews, possible curriculum standards, program length, suggested class size and more. After choosing a conference you would like to request, go to our EdTech website to fill out the Google Form Video Conference Request. The Technology Interventionists will contact you if you request can be filled.